It appears that the iOS and Android versions of VLC, one of the more popular media players, is about to support media streaming to Google's Chromecast in the near future. This was revealed by one of the developers behind VLC, Felix Paul Kühne, who stated that native streaming support for Chromecast is currently being implemented into the media player. At the moment, it's unclear when this long-awaited support will land on the mobile versions of the popular player, but it is speculated that iOS devices will be able to stream to Chromecast via VLC sometime in July. The Android variation of VLC, which is still in beta, will eventually support the nifty Chromecast streaming ability, too. Oddly enough, this will only happen after its iOS counterpart gets it first. Yet again, the developer does not give a specific release date and it is unknown exactly when Chromecast streaming will land on the Android version of VLC. Probably when the app goes out of beta? 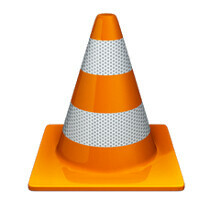 VLC for Android has been in beta more more than a year now... Get it together VideoLAN! So does this mean I can send localy stored videos from my laptop to chromecast? That's right, they know who to please first, the alpha dogs(I don't mean Justin Timberlake).